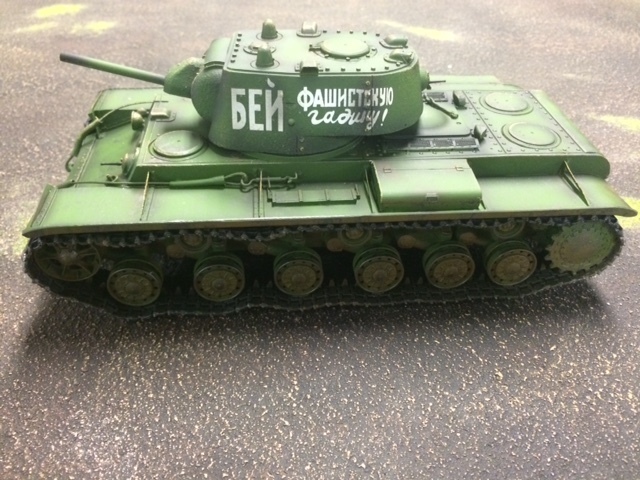 Pre-order your club Figure Today! 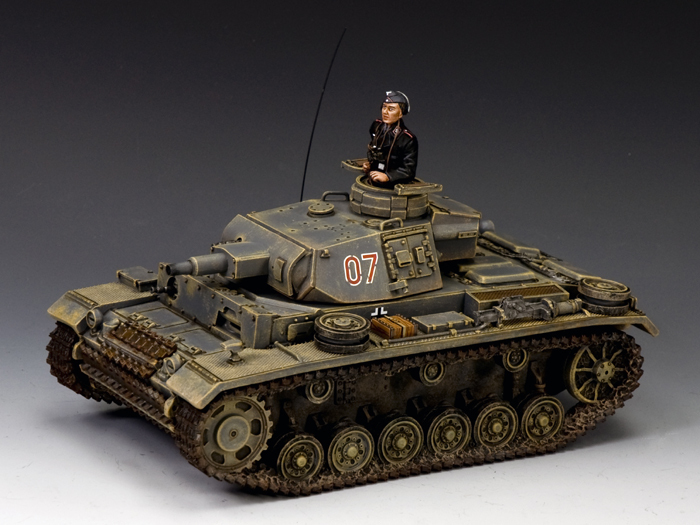 54mm Matte painted series arriving the week of April 13th! 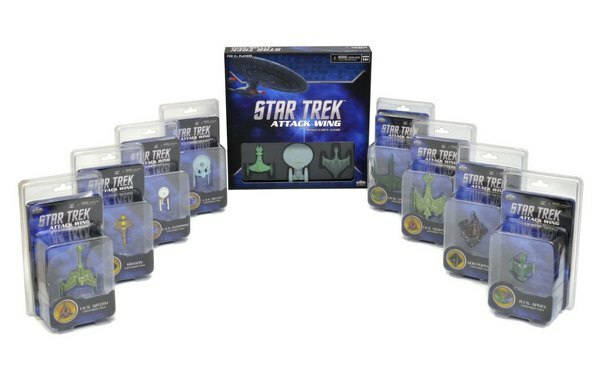 There are 27 items in this exciting new series! Welcome to April. We hope those of you who celebrate have a Happy Easter this weekend. The snow is still about 18″ deep in spots in my backyard and I can see most of my front yard hopefully the flowers will eventually find their way. We have just finish our whirlwind tour of shows for March. 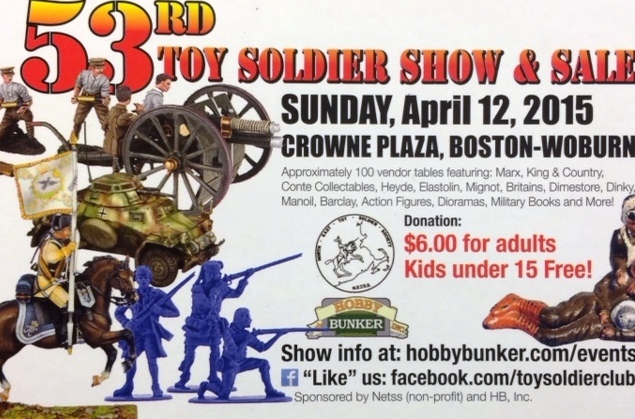 We wrapped up the month with a trip to HAVOC (Shrewsbury, MA) and Wings and Wheels (Chicopee, MA) and now we are gearing up for our local toy soldier show (thankfully the only one of the month). But May is shaping up to be show packed. We have the MFCA show the first weekend, then Huzzah in ME, followed by the Texas Show and then finishing up in VA on 5/30. Fun fun! 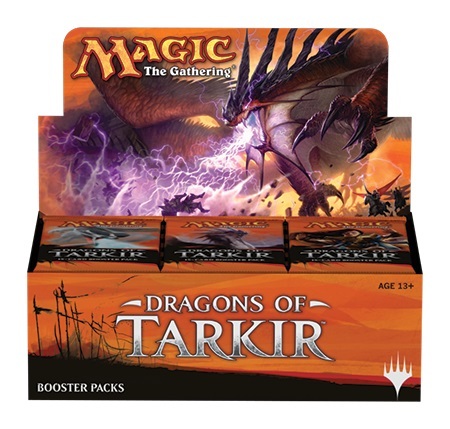 This week we have got a lot of new toy soldier announcements (King and Country, JJD), a restock and a collection of Gundam Models, new Magic the Gathering Dragons of Tarkir, Star Trek Attack Wing, Age of Ultron Clix, 40K releases, Board games and more. See below for more details. 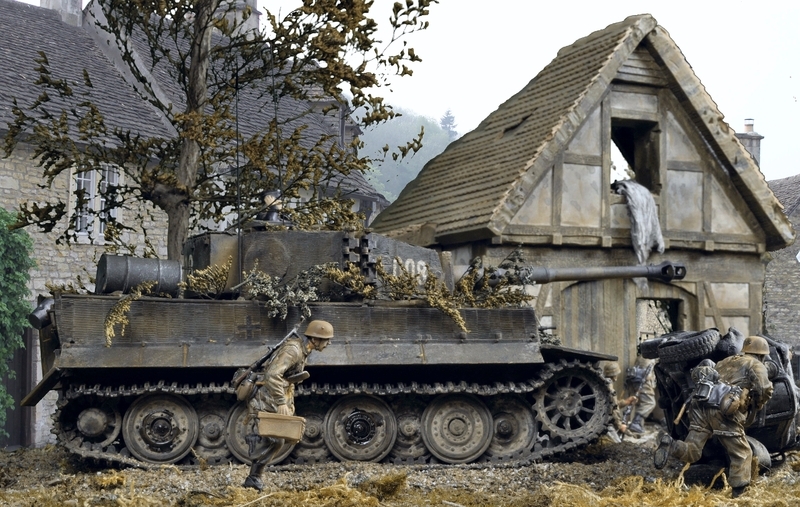 Here is another great diorama by Alex Credidio.A Figarti Tiger Tank & building with First Legion Ltd. Fallshirmjaegers. 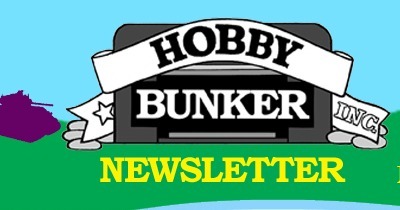 John Jenkins Designs – March releases have arrived. See below for April releases. 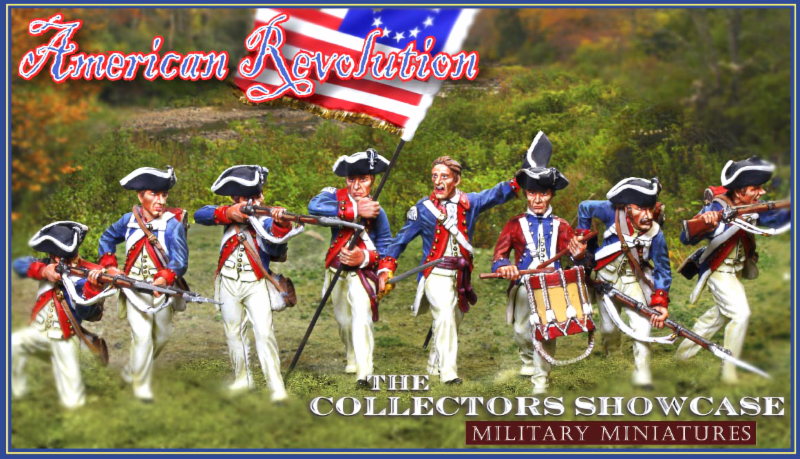 The Collector’s Showcase – Sneak Peek new Continental Infantry due in late April. 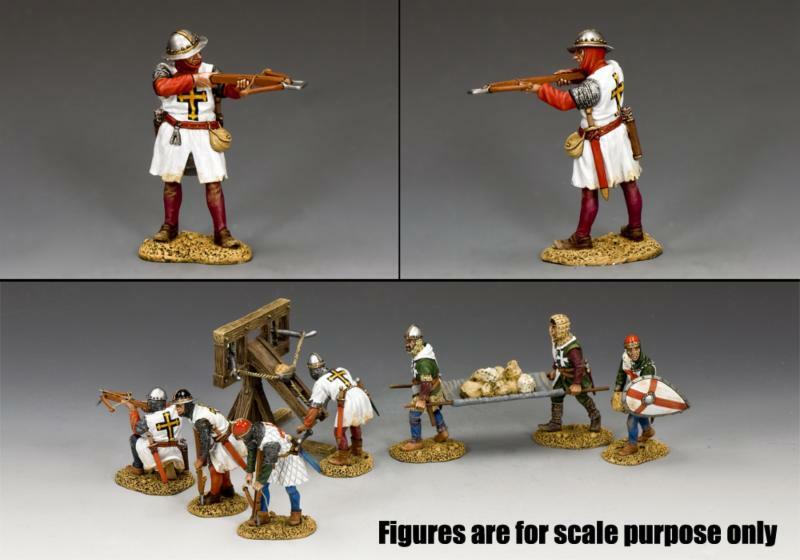 Thomas Gunn Miniatures – New March/April releases just arrived. New Tommy Gunn! 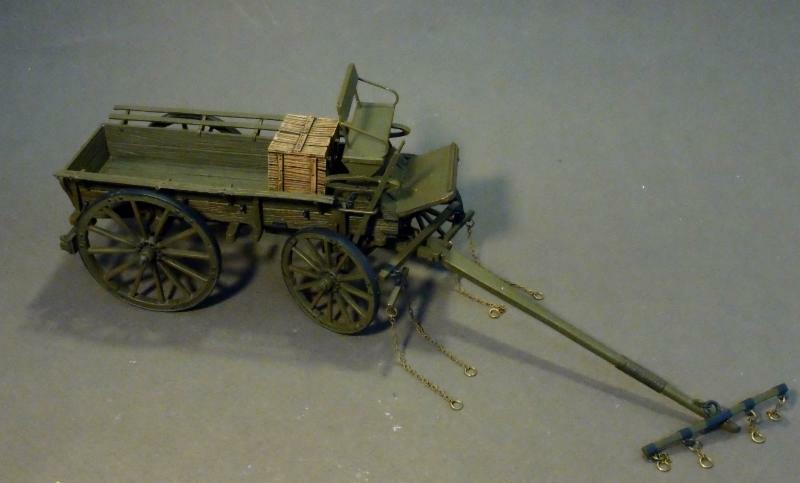 First Legion Ltd – US 4th Infantry Division (see pic. below) and Zulus on the horizon. W.Britain – New W. Britain’s just in. See Below. 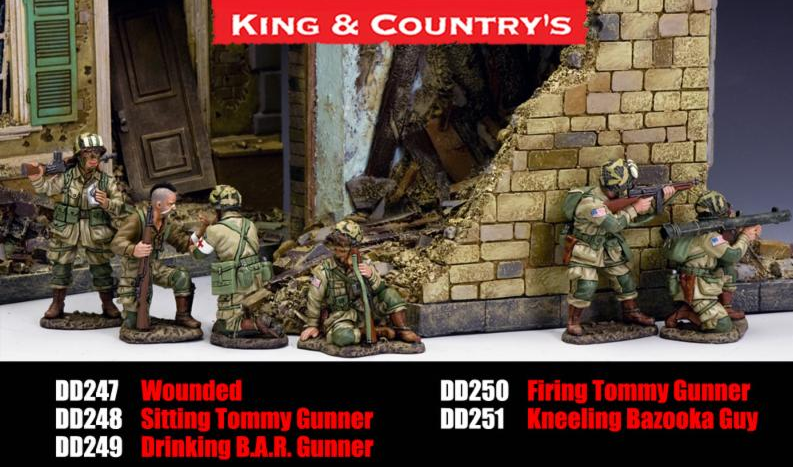 King and Country –April releases just announced. See below for link. 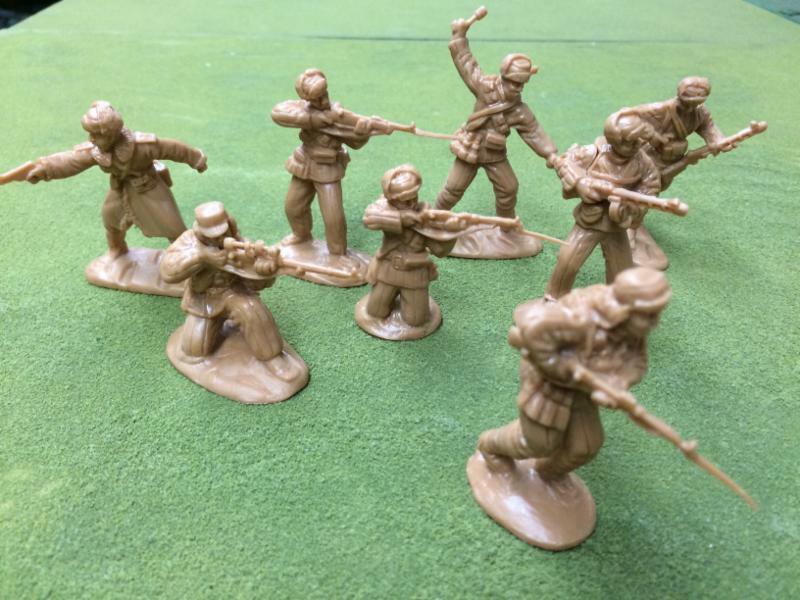 Classic Toy Soldiers – New Chinese Infantry from the Korean War now in stock! 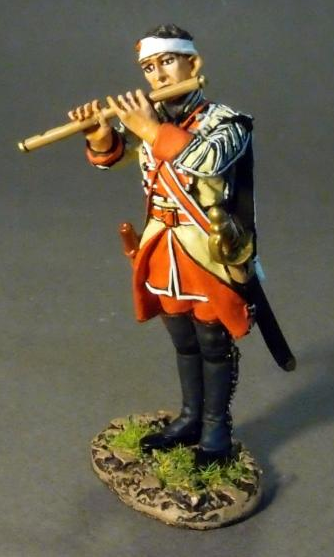 Expeditionary Force – World War II and Napoleonic sets in the works. 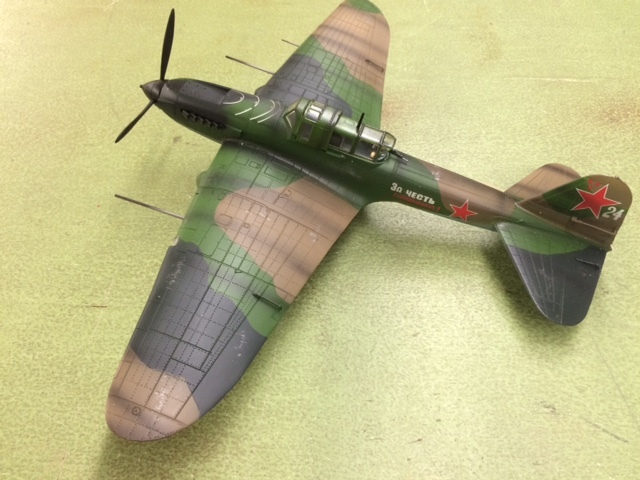 and the latest Wave of…..
New W. Britain’s Just in…. 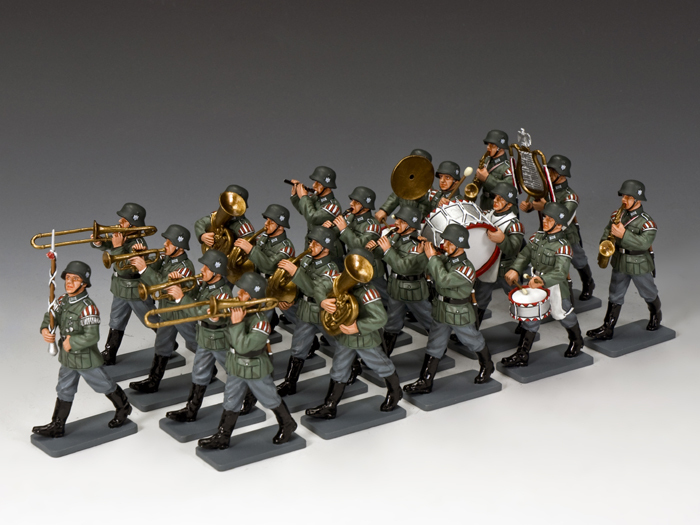 New sets include a beautiful German Wehrmacht Band, Marching and Standing riflemen, German Mortar team, tank crews and new Additions to the Crusader Range and a WWI British MP Set. That’s it for now Happy Easter!